The 104R is a high-performance distribution amplifier for analog RF signals. 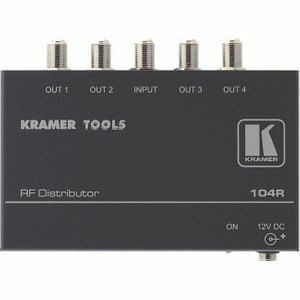 It takes one RF (CATV/MATV) signal and distributes it to four identical outputs. RF Gain - +6dB across band. Retail stores, schools, medical facilities.